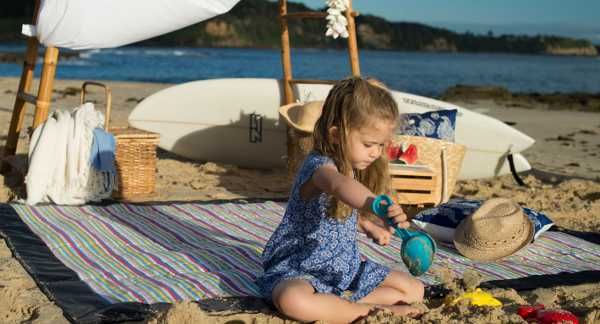 How many times have you been madly searching the back of the car or beneath the pram for some form of rug or blanket to lay out in the park for the little ones to sit on? You’ll never be caught short again with one of these beauties in the boot. 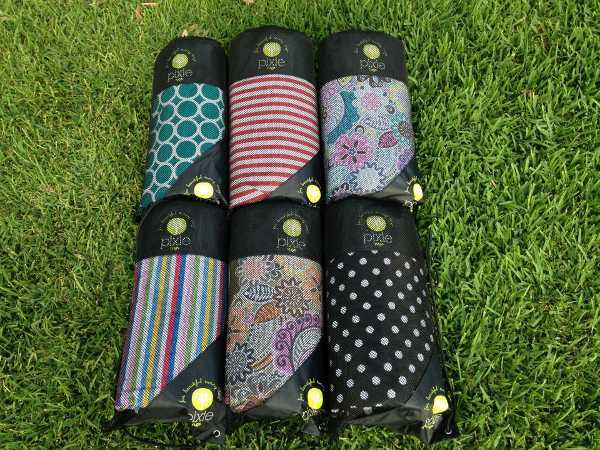 We just love this new Australian product, which is the brainchild of a mum of two. It’s a simple concept, but many parents would agree something like this has been sorely lacking on the local market. 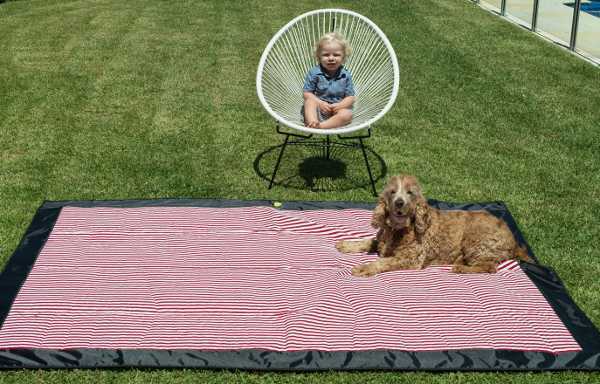 Pixie Rugs are large waterproof, washable picnic rugs that can double as playmats both indoors and out. The rugs have a thick cotton topside, are lightly padded and measure a large 2.3m by 1.7m. They also come in a handy mesh shoulder bag that easily fits over the handle of a single or double pram. With all the practicalities aside, I can now talk about how beautiful these rugs are. If classic is your style, there’s traditional black with white polka dots. On the modern end of the scale, there’s a gorgeous teal mod circle option as well. Retro prints and stripes are also available. 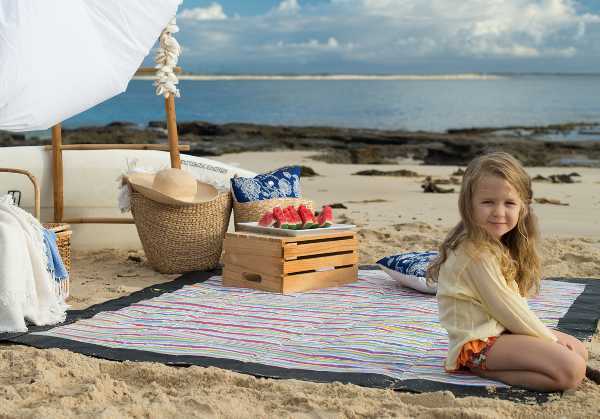 The rugs cost $79 each and are available directly from Pixie Rugs.